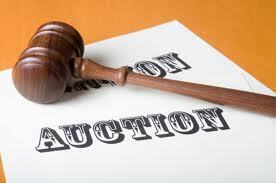 Those who bid at property auctions in New York are confronted with many potential issues. Auction properties are often attactive to first-time homeowners and to investors because they are perceived as being less expensive than comparable properties. If the property is residential, the bidding process differs based upon whether the property is a single-family house, a condominium unit or a cooperative unit. The type of property, whether it is commercial or residential, may have implications for tenants already in occupancy and whether such tenants may have statutory occupancy rights. The auction process for a single-family home is similar to the auction process for a condominium unit, because both types of property are real property. The major difference is that common charges are levied by the Board of Managers of a condominium, allowing for the filing and foreclosure of a lien for unpaid common charges by the condominium Board. However, once the matter is in foreclosure, it is supervised and directed by a Court, meaning that same is litigated and requires a judgment of foreclosure issued by a judge before proceeding to auction. In a condominium, mortgage balances take priority over unpaid common charges. As such, in many cases, an auction bidder in an auction for unpaid common charges will likely be taking the unit subject to the outstanding mortgage, requiring the successful bidder to pay mortgage arrears and keep the mortgage current to avoid foreclosure. Cooperative bidders will experience an auction process that is non-judicial (not supervised or litigated in the Court) unless a party requests that a Court issue an injunction to prevent or delay the auction. Since cooperative maintenance charges take priority over a share loan, it is possible for an auction bidder to obtain the unit for only the amount of the maintenance arrears and sever the security interest of the lender, provided that the auction is properly noticed. Our readers should note that this is an unlikely scenario because most lenders will choose to cure a maintenance default by paying it themselves, because a cooperative unit is likely to be more valuable than the maintenance arrears due to the cooperative. In order to avoid the pitfalls of entering into a deal that is “too good to be true”, we advise retaining an attorney who is experienced in dispensing auction bidding advice for all types of property. We suggest obtaining as much documentation as possible, such as the Auction Notice, title search, litigation search in the Court and Terms of Sale. Personal interviews, to the extent possible, are beneficial. It may be prudent to determine if a Court-appointed receiver has been appointed for the property and discuss with such person whether rents collected are current and whether there are tax or other arrears. It should also be determined whether the Auction Notice has been published as ordered by the Court or in a newspaper of general circulation, in compliance with legal standards. Further, a potential bidder may wish to visit the property to determine whether it is occupied by the homeowner or a tenant and to determine property condition. If the property is in poor repair, the bidder should revise its potential bid downward. A New York auction bidder may wish to speak to the occupant or homeowner to develop an understanding of their intention to remain in the property and whether that intention matches the bidder’s objective. A bidder on a commercial property may wish that it be occupied by renters who are current in paying their rent, so that an investment property is not vacant, requiring the successful bidder to lease the space immediately. A bidder on residential property intended for personal residence needs to confirm that the property is vacant, so as to avoid having to commence a landlord-tenant proceeding to remove the occupant. A bidder on residential property intended for investment may also wish to determine that there is no occupant, so that improvements that will make the property marketable for sale or rent can be undertaken. Our firm can assist successful bidders should a landlord-tenant procedure be necessary to handle occupants. As attorneys for the potential bidder , our firm would review and obtain any relevant documents that can be obtained as soon as possible to confirm that all lienors have been legally informed of the auction, so that their security interests are effectively terminated by the auction, and the auction bidder does not obtain the property subject to unintended interests. Otherwise, the bidder will be purchasing subject to such interest. We would also instruct our client as to the operational aspects of the auction itself, such as the form and potential amount of the deposit to be made immediately upon submitting the successful bid and how quickly the bidder must close according to the Terms of Sale, whether or not the bidder has a loan for the balance required to close. We welcome discussions with our readers and clients as to how we may assist New York auction bidders in obtaining inexpensive property with minimal risk.